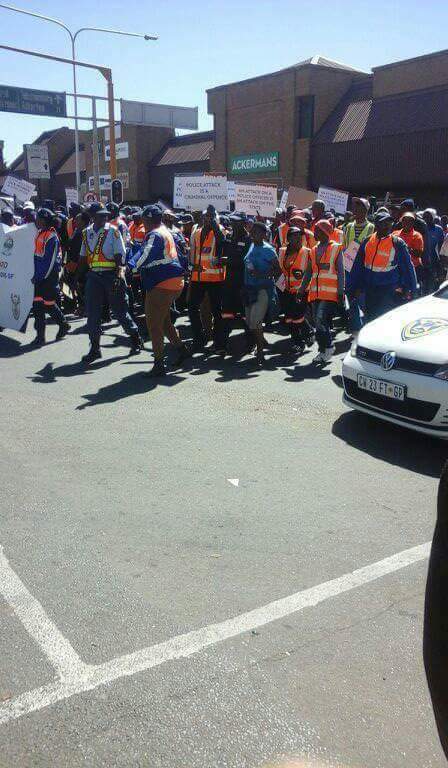 The South African police officers yesterday staged their own protest, accusing Nigerians residing in the council of false accusation. This took place after Nigerians stormed the police station on October 11th to protest, after a 25-year-old Nigerian man known as Ibrahim O. Badmus was allegedly killed by South African police officers at his home on October 10th. South African policemen raided his home at Vanderbijlpark triangle on suspicion that he sells hard drugs. They handcuffed him and used excessive pepper spray on him, and he passed out and died due to suffocation.